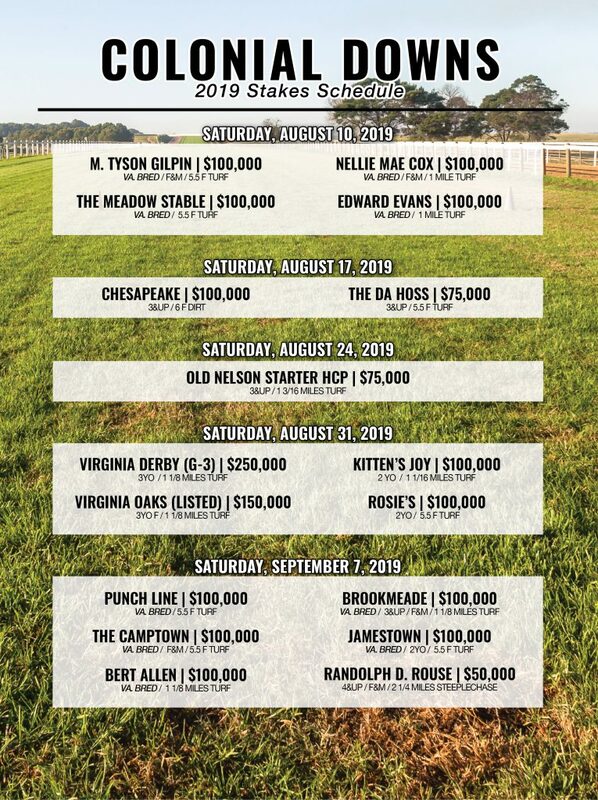 The 2019 Colonial Downs stakes schedule was released today. Stakes for Virginia-bred and sired horses are featured on both opening and closing weekends. The highlight of the meet is Saturday, August 31st when both the Grade 3 Virginia Derby and Virginia Oaks are scheduled to run. *All Virgina-bred/sired stakes with less than six entries will be opened to Virginia-certified horses. The Punch Line stakes is a non-black-type stakes.